8-9 November 2018. Ghent, Belgium. 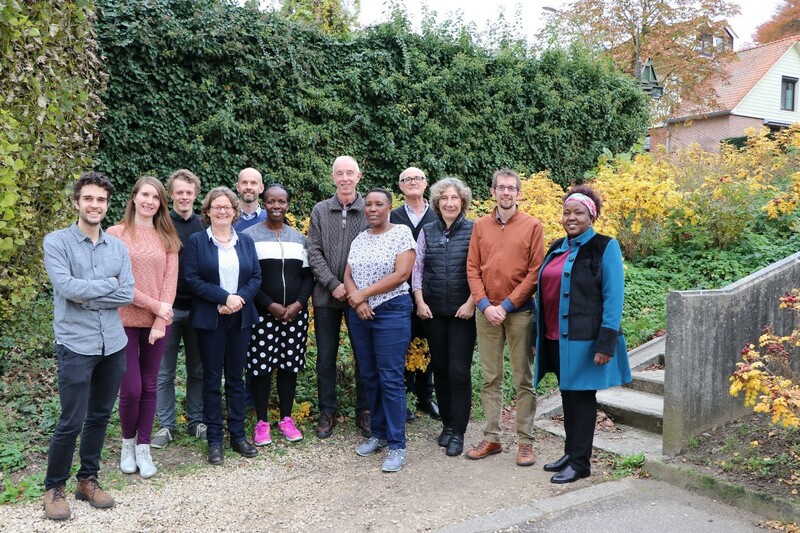 Inception meeting of the 3 year EU-Africa LEAP-Agri project CLISMABAN (CLImate SMArt BANanas): Phenotyping the banana biodiversity to identify climate smart varieties with optimal market potential in Africa and Europe. 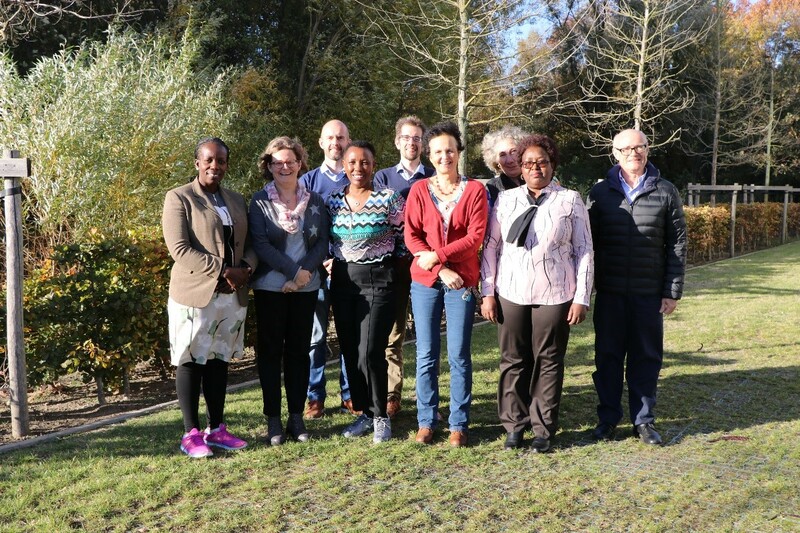 The consortium coordinated by IPBO (VIB-UGent) includes three Belgian Universities (ULiège, KU Leuven and Ghent University), Kenyatta University (Kenya), the National Agricultural Reasearch Organization of Uganda and ICIA (Instituto Canaria de Inversitgaciones Agrarias). The rationale of this project lies in the fact that today Banana (Musa spp.) 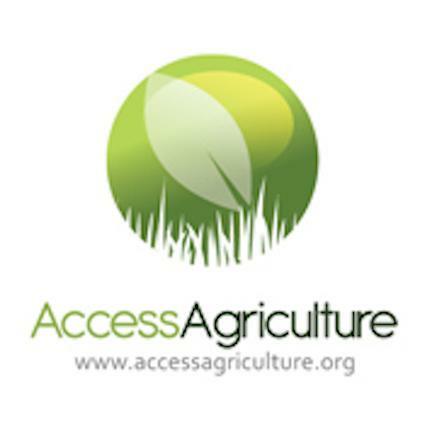 is an important crop providing a staple food for more than 400 million people on the planet. It is an important source of income for many small and medium-scale producers that needs only limited inputs to ensure harvest. However, harvest yield is still far below its potential for many small holder farmers. 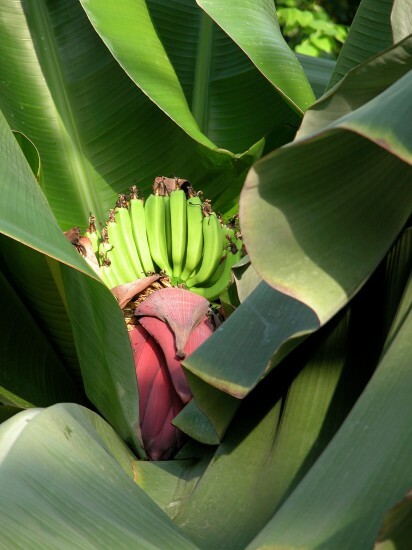 In Africa, a high diversity of highland, plantain and dessert bananas is cultivated and the production is mainly aimed at local markets. In contrast, the banana production and import in Europe is limited to only a few varieties. Belgium hosts the world banana collection and has a long history of scientific research and partnerships with European and African scientists. To select with input from all actors of the banana value chain (consumers, farmers, processors…) the varieties that will be resilient to the constraints that are threatening production because of climate change. 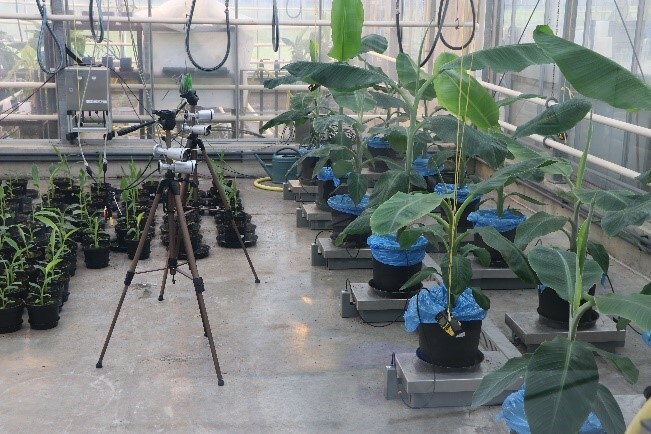 To address the increasing demand for food, this project will investigate the potential of some microorganisms to be beneficial for the soil and the productivity of the banana plant. 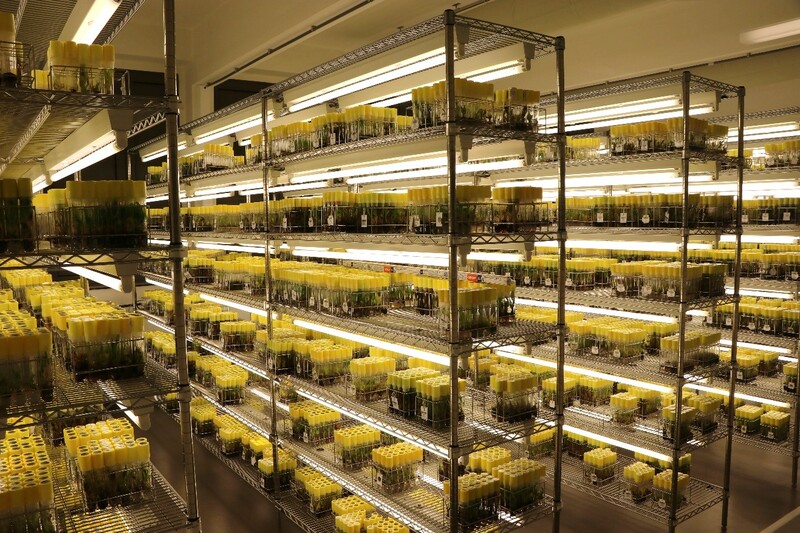 The project will combine top-notch phenotyping technologies to identify the varieties from the collection that fit the established “cahier des charges” and to test the potential benefits of microorganisms on growth of the banana plant. 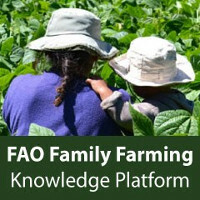 The laboratory obtained results will be brought to the field in different agro-ecological zones of Kenya, Uganda and Canary Islands for evaluation. 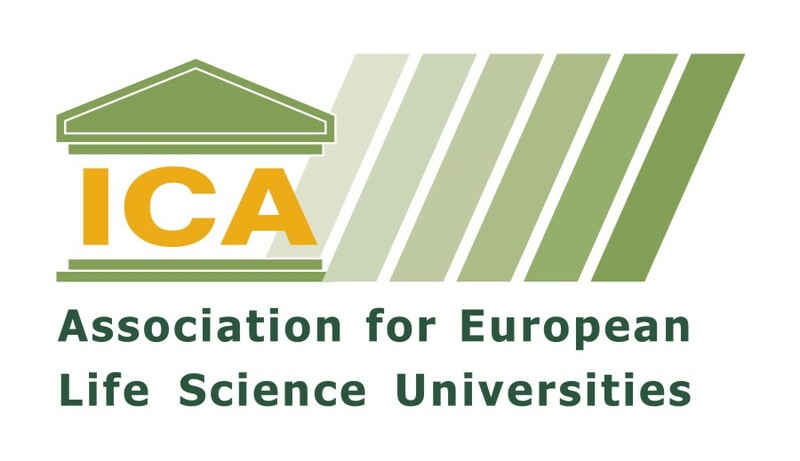 Producers and researchers will be trained in different aspects of the banana research to market pipeline to stimulate a better utilization of scientific results in the development of agricultural systems that will meet both the increasing demand for food and the requirement for a sustainable use of land and water that can challenge the climatic evolutions. This inception meeting was the opportunity for all partners to meet for the first time although there already precedent bilateral collaborations in research or capacity building. 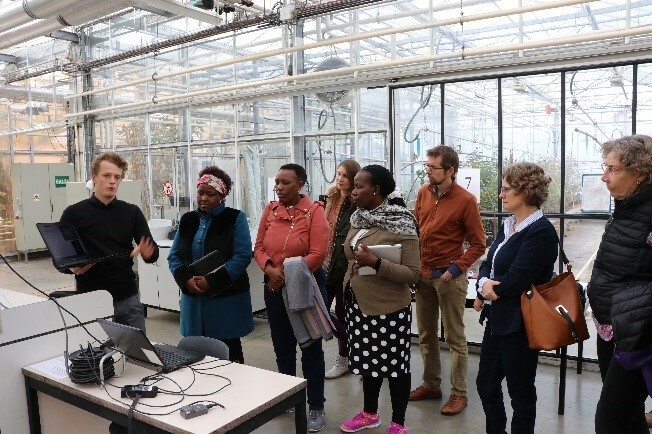 This meeting was the opportunity to visit the facilities at Liège University where the “Ecotron” will be used to grow selected banana varieties in simulated future climatic conditions. The group also visited KU Leuven hosting at the International Transit Center hosting the biggest banana collection. 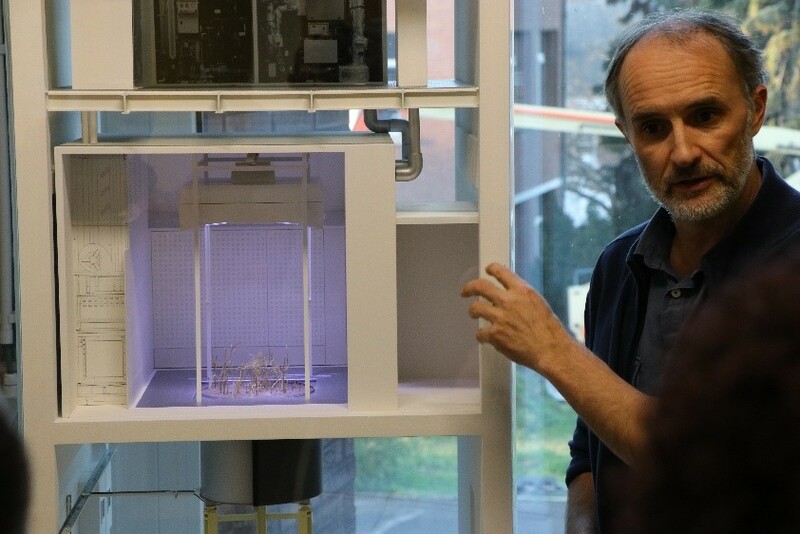 In addition, an explanation by the young scientists on how phenotyping for drought resistance with the “growtainer” and other facilities will be implemented within this project. 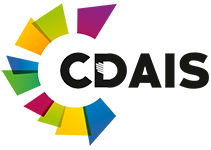 This first meeting was the perfect occasion for all concerned partners to plan and coordinate their respective work within the CLISMABAN project. 25 November 2018. Meise, Brussels, Belgium. Botanical Gardens Science Day. How did bananas taste in 1950? Will we still drink coffee in 2050? Science Day (Dag van de Wetenschap) offers the opportunity to take a unique look behind the scenes of numerous companies, universities, schools, museums, training centres and research institutes in Flanders and Brussels.